Some footage of the upcoming Isle of Tune app for iPad, iPhone and iPod Touch! Android version coming soon after! visit www.isleofune.com to play online now! A music score is, in essence, a way of making space into time: traversing notation from left to right and top to bottom, you move through a series of events. So, why not make that spatial map an actual map, as in the familiar, isometric interactive cityscape popularized by Will Wright’s classic game Sim City? Isle of Tune does just that: lay out trees, houses, and city streets, and you sequence musical patterns as virtual islands. It’s available right now on the Web, powered by Flash – Chrome users can even get a one-click install via the Chrome Web Store. If you prefer to use a phone or tablet, mobile versions are coming, too, beginning with an imminent iPad release, seen in a video below. Choose one of the love songs below (or compose your own) and press “Play Song” to play it on the bell ensemble in our office. In celebration of Valentine’s Day, Tellart is launching the Love Song Machine, a musical instrument controlled (by you) through the internet. Visitors to the website can select a song or compose their own, and press play to send the song to the instrument in our Providence office. The bells are played by a series of solenoids, which are controlled by an Arduino micro-controller. The notes that you submit are processed on our web servers and then sent to the Arduino, while we load up live video and audio so that you can watch your song play. If there are users ahead of you in line, the queuing system will let you know how long you’ve got before you can watch your song. The bell machine will only be available for a limited time, so start composing! Justin Windle at Soulwire posted a nice particle node sequencer created in Flash using the Tonfall Audio Engine, the new open source AS3 audio engine produced by Andre Michelle. At Flash on the Beach this year, I had the privilege of seeing Andre Michelle speak. It was great to hear him explain some of his fantastic work behind audiotool and to see and hear some more of his audio experiments. He also introduced Tonfall, which is an open source AS3 framework designed to get people started with Audio programming in Flash. From the horses mouth; “Tonfall introduces only a vague design of an audio engine and is rather focussed on readability and simplicity than performance optimizations”. I know that I’m not alone in feeling inspired by what Andre has done for the Flash platform, particularly when it comes to audio, yet lack the knowledge he has invested so much time and hard work in acquiring. The fact that he’s now sharing it with the ret of us for free was more than enough impetus to have a crack at it myself. So this is my first test with the framework, which although not extensively documented (at the time of writing), was quite easy to pick up and get going with. 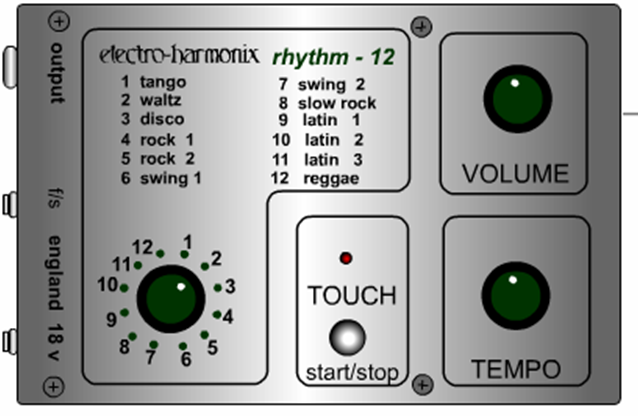 This sequencer is based around physical nodes, which connect to produce a variety of tones. There are two types of node, a neuron and a receptor, which are connected by synapses (apologies for the trite analogies). Neurons fire periodically, and if within a certain proximity of a receptor, this message is sent at a fixed speed along the bridging synapse. When the message arrives, the receptor is activated and responds by queuing it’s individual tone within the audio engine. Each receptor owns a randomly assigned note, and each neuron a randomly assigned octave; therefor a receptor will play it’s note in several different octaves depending on which neuron causes it to fire. A full-blown music production tool has been directly ported from the desktop to the browser using Flash, modeled with a tracker-style interface for fast, precise music editing. In fact, a tracker, thanks to speedy entry from a QWERTY keyboard, seems to me an ideal interface for browser music. The resulting tool comes with all the modules you’ll need, and it’s completely free to use. There’s even an included sample library. The sourcecode of the application is the same than the desktop version, it’s C++. I used a research project from Adobe Labs to build my sources for the AVM2 (ActionScript Virtual Machine 2), which is the last virtual machine used in Flash. This way, I got a binary version as a .swf of my original desktop-based application. I wrote some parts code for this version, but only a few. For example the graphic rendering: in the desktop version was using the graphic card acceleration; for this version I implemented a software renderer. After it, I added some special features for this version. For example, I implemented a filesystem with remote access to allow the load of resources stored on the server. With this feature songs and samples can be loaded from the webserver, which is good to have a base sample library available on the server. If you like to play the Piano but can´t afford to pay tons of money on an actual instrument, here is something I know you will enjoy. VirtualPiano lets you play the actual piano online with computer keyboard. Each letter on your keyboard corresponds to a key on the piano. June 12, 2008 · Posted in Electronic Music · Comments Off on Want to try out some old drum machines?? Here it is, it’ll supply you with an emulator of some famous little machines, used by DJs, producers and bands all over the planet. Right now, we can equip you with a rebuilt Roland TR-808, TR-909, TB-303 and some floorboards. Interested? Give it a try!